Ask anyone who’s just returned from an international trip about their favorite memories, and most likely the conversation will turn to food. Organizers of the third annual Eau Claire Global Market are putting a delicious spin on one of the Valley’s favorite pre-holiday events! Menu items from around the world will be featured alongside the range of quality fair trade crafts and gift items you’ve come to expect at the Global Market. You can shop locally and help globally, just in time for the holidays. This year’s market will bring together people and organizations from more than 40 countries, selling fair trade handcrafted products and food items that promote sustainable livelihoods and community development. Purchase handcrafted clothing, jewelry, art, coffee, home décor, food, Christmas decorations, and more. All proceeds from the market go directly to small organizations that support international development projects. You’ll have the opportunity to chat with vendors and learn firsthand about their projects, which support solutions to global problems such as safe water access, human trafficking, education, and employment. The food and beverage menu includes specialties prepared from family recipes. Proceeds from food sales will support the church’s youth summer immersion trip to the Heifer International Ranch in Perryville, Arkansas. For beverages, there will be Singing Rooster Coffee from Haiti as well as chia, an authentic Nepalese spiced milk tea. 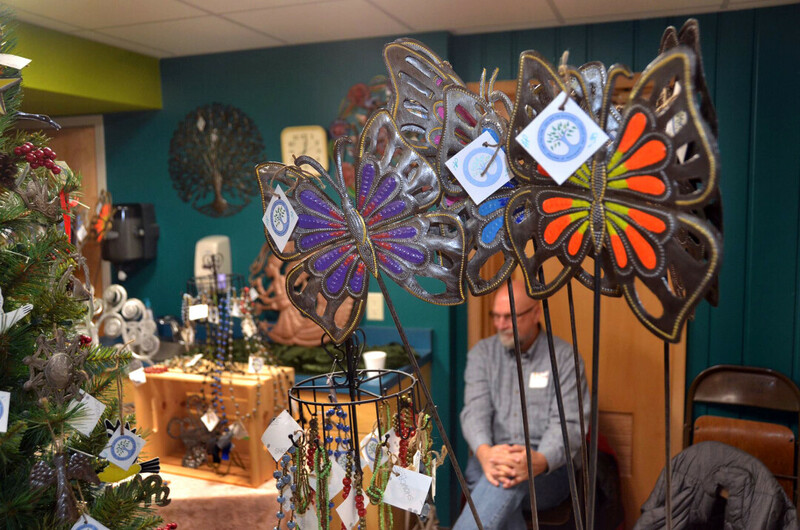 To learn more about the event and the vendors, visit eauclaireglobalmarket.blog/blog.